Real Time Strategy games have been somewhat dormant in the past few years. The big expectation, of course, is that Starcraft 2 will re-energize the genre and spawn another wave of imitators. The 4X genre, on the other hand, has been bolstered by Galactic Civilization 2 and is being “dumbed down” for the widely anticipated Civilization Revolutions, due out in June. Speaking of Civ, Beyond the Sword, while excellent, is horribly buggy and has been heavily neglected and unsupported by Firaxis. Seriously, Firaxis, you guys are sell-out assholes, and I will continue to call you out until you patch BTS properly instead of cashing in on Civ Rev. In the meantime, to satiate your 4X and RTS desires all at once, we have Sins of a Solar Empire, the first of its kind: a 4X RTS. As promised by marketing hype, this hybrid gives you the combat of a an RTS game combined with a robust tech tree and empire management typically expected of a 4X game. And the whole thing is done in real time. The net result is a game that plays like a very deep (and fun) RTS with average game times of one to three hours. Because this is a deep game, I’m going to gloss over the stuff that (as usual) I don’t care about. The graphics are great. You typically spend most of your time zoomed out to observe large battles, but if you zoom in, you’ll find the ships are well done, with distinct styles for each race. My favorite is watching capital ships in action. Capitals have different weapon bays on each side, and will bring their many weapons to bear in a fight, so you’ll see missiles flying out of one side, laser banks unleashing on another, and so on. The sounds are fine. I found the voice acting on the units a little irritating at first, but quickly got used to them. A comical touch is that many units say the same things as WC3 units, a fitting homage. Thirty years later, we are all still playing Asteroids. As this is a 4X game, you have an empire to manage. 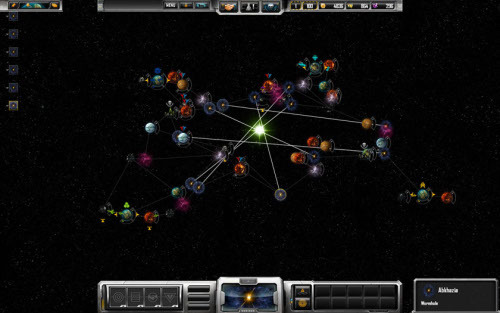 Fortunately, it’s very easy to navigate around the galaxy from system to system using the game’s interface. One novel tool is the “empire tree” which shows all of the planets you are active in and organizes all structures there for easy access. A search function lets you find ships that are prone to being lost (a colony ship, for example). 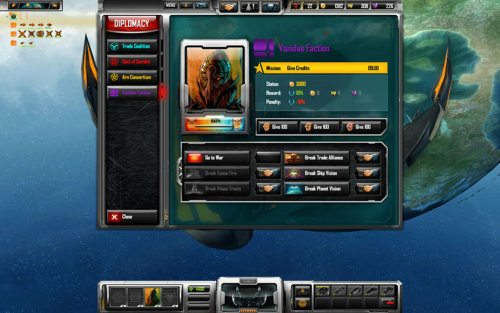 This allows one to quickly manage a large empire while engaging in RTS combat, which is a critical necessity in this game. 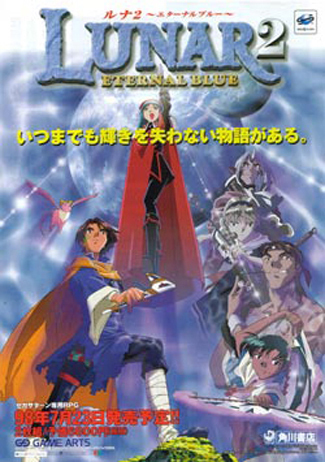 The 4X aspects of the game are in the layout of the universe. Each map is a series of solar systems (most smaller maps are one star, but others can have more) with connecting interstellar bodies: planets, asteroids, gas giants, etc. Each body is connected by a fixed “phase line” one must travel through to get to the next planet. Each planet has a gravity well area where strategy takes place: combat, colony management, etc. The way the phase lines shake out, you can end up having strategic choke points and other points of interest. There are various goodies as well: each star system has a pair of wormhole points that can be used to jump with the proper technology, and the star itself regenerates anti-matter (mana) more quickly for orbiting ships. Planets can have local bonuses, and you can find powerful, empire-affecting artifacts in others. As in any 4X game, your goal is to run around colonizing these planets to build an industrial base from which you produce a bunch of units to go exterminate your competitors. The 4X part of the game is quite slick; it’s deep enough to go beyond an RTS, but respects the fact that the game is real time and you’ve got things to blow up. There is enough variety of planets to affect your strategy, but not so many that you’re looking at a spreadsheet to figure out what to do or where to colonize. The same goes for planetary improvement. I’m an upgrade and detail whore, and there’s enough going on to keep me satisfied without bogging me down. A planet can quickly be assigned as a research hub, war hub, or economy hub. One thing I dislike, but is ultimately good for an RTS (which this game tends to be more of), is that planetary defenses can slow an invasion, but can’t form chokeholds. This is a game for warriors, not turtles: you’re going to need a fleet of ships. And a fleet requires upkeep, and upkeep slows your economy, so for the most part, the best defense is a good offense: the game’s mechanics keep you on the move. Diplomacy is for the weak, or the losing. The research tree is nicely sized, with a war tree and an empire tree, each split into three parts. On top of this, every race has its own trees. Some techs are unique to a race, some are slightly different between races, and other equivalent techs can come at different levels in the tree. Certain technologies, as is the case in all games, are critical, while others are highly situational (or just plain filler). The balance at times feels off: certain techs are too deep in the tree for some races to be useful, but there aren’t too many blatant violations of balance strategy (except for the Returning Armada tech: read the game’s boards for details–this will probably be heavily nerfed next patch). One new aspect of combat that Ironclad attempted to introduce was that of shield mitigation. The more ships firing on a single ship, the harder it becomes to kill (to a certain point). The problem created by this is two-fold. First, the cap is hit very quickly, so once you get to that point, you might as well focus with all 20 of your LRMs. Second, as with almost every RTS to date, a unit with 1 HP fights just as hard as a unit will full HP. Accordingly, the faster you can kill something, the less damage incoming, the better your chances in battle. So even with mitigation, it still makes sense to focus fire. When you add in the fact that LRM ships have ridiculously high range, it makes focus firing even easier. Sins has been slammed in some reviews for is the lack of a single player campaign. 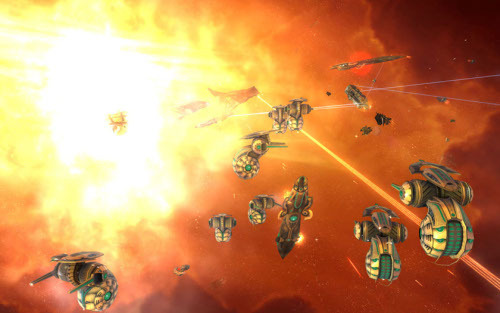 The game is meant to be episodic, like Civilization, not story-like, as most RTS games are. However, they went and built a fairly interesting backstory, so it makes sense the masses want a campaign that reveals what happens. That’s what you get for putting some creative detail and effort into your game, Ironclad–angry people! That’ll teach you. However, the lack of a single player campaign directly contributes to another problem in the game. Sins are always so attractive. The AI is absolutely terrible. It’s great to learn to play the game with, but that’s about it. It runs its army around erratically, it doesn’t use capital ships properly, and it builds every unit in the game in a non-tactical fashion. If you want real competition, you’ll need to go online and play against other players. Of course, those players have been playing the same crappy AI, so you may not fight anyone much better, but at least you get the thrill of their smack-talking you when you kill them. The good news is the AI is one of many areas targeted for improvement by Ironclad. Galactic Civ’s AI was fairly poor during launch and was rapidly coded into something fairly formidable, so I have hopes for the future. On the whole, I enjoy Sins of a Solar Empire. They tried something new, and for the most part, they pulled it off. They really nailed balancing the 4X and RTS aspects, making the game deep and fun. Although there are some filler techs and “situational” units, for the most part there’s enough depth on both aspects of the game to keep the player fully engaged. The game isn’t “broken” as Civilization 4 was when it launched, and the patches have been coming frequently. Most of the weak points of the game can (and hopefully will) be addressed in upcoming balance patches. This is an RTS game, and RTSs are hard to balance without a true user community logging tens of thousands of game hours to really figure out what’s been built. QA can avoid game-breaking balance, but perfect balance takes time. The game’s biggest weakness, by far, is the length of games. With games running 1-3 hours (or more), it’s hard to get a group of internet people to play with the required level of dedication. In most RTS games, an hour game is a “long” game: for Sins, that’s a rush game. You can tweak the game’s speeds (resource accumulations) to shorten this, but it can throw other things off. It’s also much harder to save and pick up a game than in a turn-based game like Civilization. Add to this the fact that the single player is too easy to be fun, and I worry that Sins’ fatal flaw will be an average game length that is hard for an every day player to tolerate. Considering the length of a Sins game is very similar to what Civ Revolutions is expecting, I’m curious to see if we’ll see gamers alter their behaviors, or two great games ruined by the realities of the non-gaming world.